Parnian Design & Manufacturing Inc. is a pioneering family business specializing in the manufacture, design, and retail of high-end, contemporary furnishings and accessories. Founded by Architects Abdolhay and Parvaneh Parnian in 1977, Parnian Furniture has resided in Arizona for over 42 years and built a reputation of constructing luxurious and distinctive furniture pieces. At Parnian, our collection of unique styles is tailored to your needs, offering design services for both residential and commercial spaces. Creating custom made furniture in our factory located in Phoenix, Arizona, we also import the latest designs and highest quality furnishings from all over the world. Come explore the possibilities. Our vision for Parnian Furniture is very clear. To create… Create custom home furniture that’s synonymous with high quality and luxury appeal, but also a style that is unique to the Parnian name. 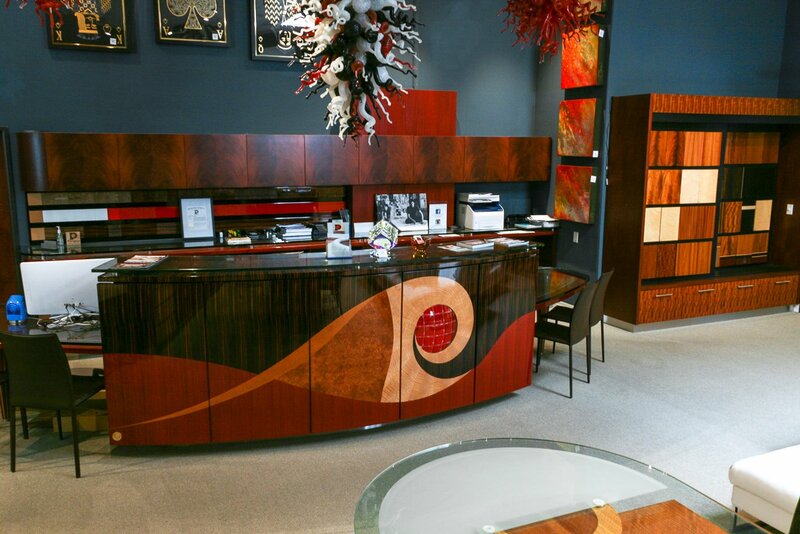 Incorporating exotic woods, high-gloss or satin finishes, and hundreds of other options, our goal is to help make your dreams become reality. Recognized as a leader in design and quality and have won many prestigious design awards over 40 year history. We’ve showcased and designed interior spaces for some of the most prestigious residences and offices in the world. Having worked with the world’s leading design brands, we are intimately familiar with how the best furnishings are thought of, designed, and created with the rigorous process by which the highest quality materials are used. Our promise to you is to always uphold the highest standards of quality, design, and customer service. Visit us in store to explore and be inspired. You will find an unmatched library of resources and knowledgeable design consultants eager to help you with your design challenges – big or small. Whether you are building a new home, starting a home remodel, shopping for many items or the perfect piece to complete a room, we welcome the opportunity to help you create a space you’ll love. For any product inquiries or general assistance please call us at 480-991-5166.